Crackling, solid, massive Death in European style : not too violent and not too brutal just for the taste of being extreme. The Negation provides anyway its attacks and its infernal compression, united with catchiness and hook-loops. Great ! Question : are they the new Vader ? After a sinister doomy moment of intro, the fury begins with the opener The Fury indeed. 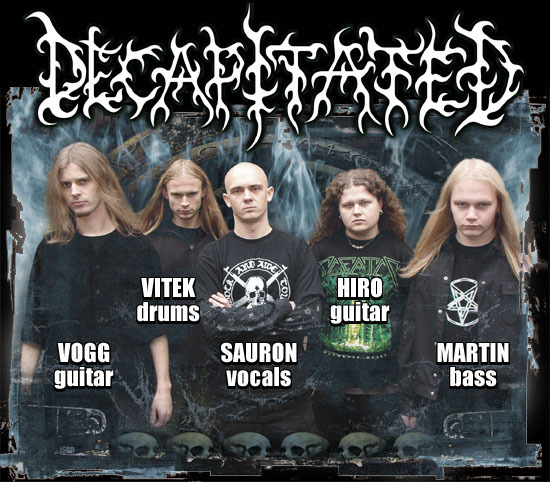 A fast merciless attack in European taste, in which the low and resolute vocals and a bright lively but always calibrated drumming give energy to the powerful but ordered guitar assault. Always powerful but more obsessive and crackling Three-dimensional Defect, is an impressive gun machine, whose rhythmic section is implacable, whose lead are penetrating. We persist under the high voltage, adding this time a kind of dark compulsion : Lying and weak. Aggressive blasts go down immediately in the blood thanks to catchy and effective rhythm. Some dissonance is present but only in traces. The music flows like rosolio. The same can be said about Sensual Sickness, angry, crunchy, impetuous. A listenable and enjoyable "destroyer". Headbanging triumphing. Calling is a short but intense track, iterative, obsessive, with a certain Doom and Black attitude. 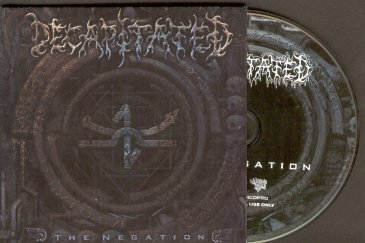 The title track The Negation is able to create a major sense of heavy vastness, thanks to many single elements which merge into the heavy picture : elastic leads down and high-tuned, good tempo changes, virtuoso moments here and there, who don't have any arrogance. Everything relieves the compression without stealing a single crumb concerning the continuous heaviness. You get the impression that vocals become even more guttural (if it's possible) in the thundering experimental, twisted Long-desired Dementia. Complex enough, this track is also showing cadenced and fast passages without falling in excessive brutality. The empty Throne is generally down-tuned, pushed by crunchy mid tempo loops counterbalanced by blasting fast drums and a general bleak groovy temperament. This band from Poland that appeal so much to English audiences, many times described as the new Vader (why then, due to music or Poland ? or both ?) have a dark groovy vision of Death, without losing the contacts with the roots of the genre, enriched by a certain melodic construction. And remaining in a position of middle, not melodic, not too brutal, not US, not hyperfast, a kind of "in medio stat virtus". There, where everybody can be pleased. With engaged lyrics. The Negation is accompanied by a good cover art which is anyway in the wake of rings and circles, showing here too more "rings" with occult and/or runic, Greek (whatever) symbols. Maybe it has something to do with it, maybe not, but it seems that a stargate is under the sands of Uruk, so we are all in full stargate, circle and lost civilizations trip (how many covers are oriented this way ! and please let's rule out once and for all the Lord of the Ring !). Waiting for occult apparitions, and the reanimation of old signs, can we answer at least the question : are Decapitated the new Vader ? But, after all...who cares, for jaysus' sake !! They are simply the new hope and generation of the European Death ! Let's play The Negation very loud, and please notice this symbol--->\m/ !! !